Once you have downloaded the viewer onto you phone or tablet. 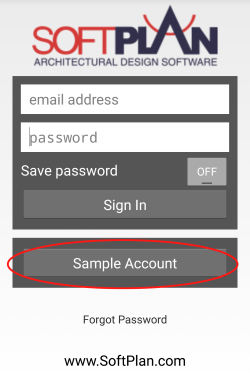 Log in and use the Sample Account, you will not require an e-mail address or password. Select a Sample design by touching the Information images to the right of the screen. 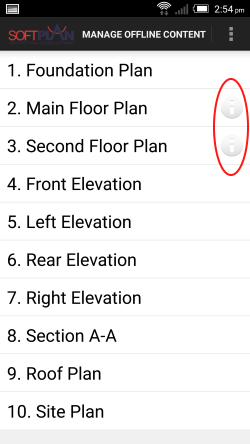 If you select the text the floor plan drawings will be displayed. 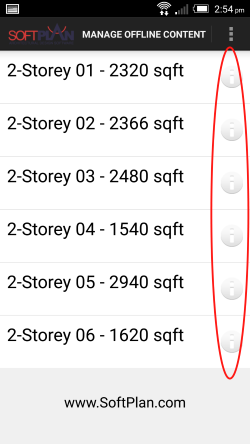 Select a floor of the design by touching the Information images to the right of the screen. 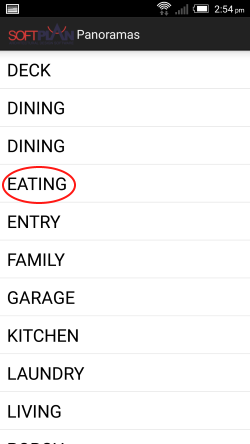 Select a panorama by selecting the room name, eg Eating. Once the panorama has downloaded you will be able to move the device to look around in the room. 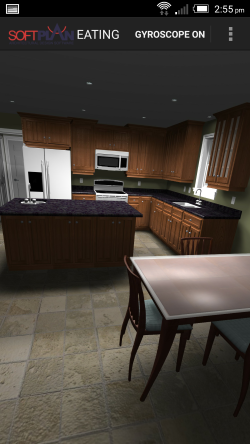 There is no better method to show your clients what you have designed than full interactive 3D that reView with SoftPlan+ can provide. Drawings and panorama easily created as part of the design process. Whether you involve your clients or just want to send drawings to the site supervisor reView is an invaluble communication tool.